Lunch. Dinner. Jazz. Local and sustainable. A sustainable company, Wilfs is located on the perimeter of Portland’s Pearl and River districts at historic Union Station.  Celebrating 43 years in business this year, Wilfs remains a family-owned restaurant built on a legacy of fine dining and personal service. Just a few minutes from the Moda Center means you can dine from our main dinner menu or casual bar menu before your event – Blazers’ games, concerts, events and more. Reservations highly suggested for dining room and lounge, 503.223.0070. Our Chef, A.G. and his expert staff excel in offering classic and contemporary fare, using only fresh, organic, whenever possilbe, Northwest products from Painted Hills, Draper Valley, local dairy products, Rogue cheeses and more. Our catering department can create fabulous parties from 10-1000, your site or ours. Union Station offers the beautiful Rose Garden and Station lobby for your next event, accommodating up to 800 guests. Ask for Candace at 503.223.0070 for more details about our catering services and locations. Hours: Lunch is served Tuesday-Friday starting at 11am-3pm, casual bar menu Tuesday thru Friday from 3pm until closing, Saturday from 4pm, dinner served Tuesday thru Saturday beginning at 5pm, and entertainment is presented Wednesday thru Saturday. Wilfs is closed on Sunday and Monday’s. Reservations are suggest for dining and lounge and can be made by calling 503-223-0070.